WOW! Here's a really sweet deal! 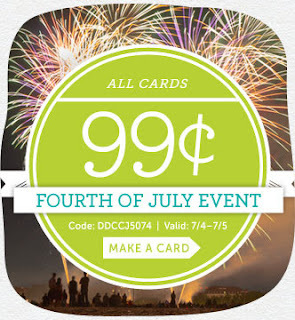 Right now Cardstore is offering 99¢ Cards during their Fourth of July Event! Use code DDCCJ5074 at checkout. Valid July 4th & 5th.